Enable Google map street view on iphone in selected locations! Google map provides street view functionality starting iphone 2.2. Street view is available in selected locations, and it is convenient if you are searching for a place which happens to have street view. You’ll be able to take a 360 degree view which might help you identify the location. Here is how you can enable it. First do a search on iphone Google map. 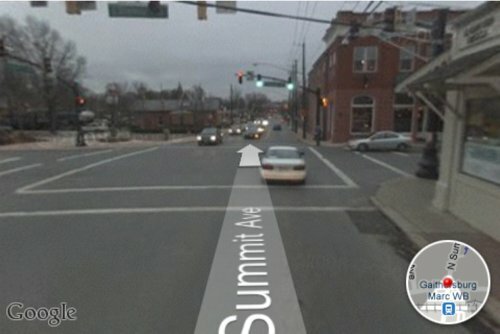 If the location you’re looking for has a street view, it will show up with a little orange man icon on the location title. Click on the orange man icon, and Google map will display street view of the location. You can slide the screen left or right to view the location all around. 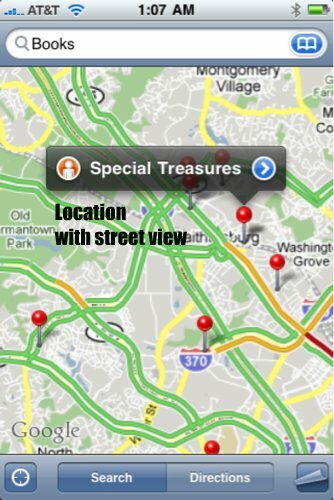 How to Zoom in and out in iPhone and iPod Touch Apps Such As Google Map? How to Take A Picture of Google Images On Your Iphone?